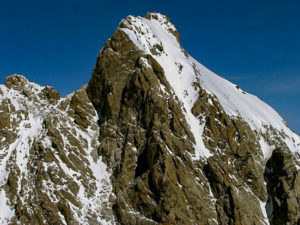 The Ford is the central snow couloir. The Grand Teton has captivated me since I saw it ten years ago on a family ski vacation. It’s an iconic mountain for all sorts of alpinists, but it’s the skiing that really draws the winter climbers. 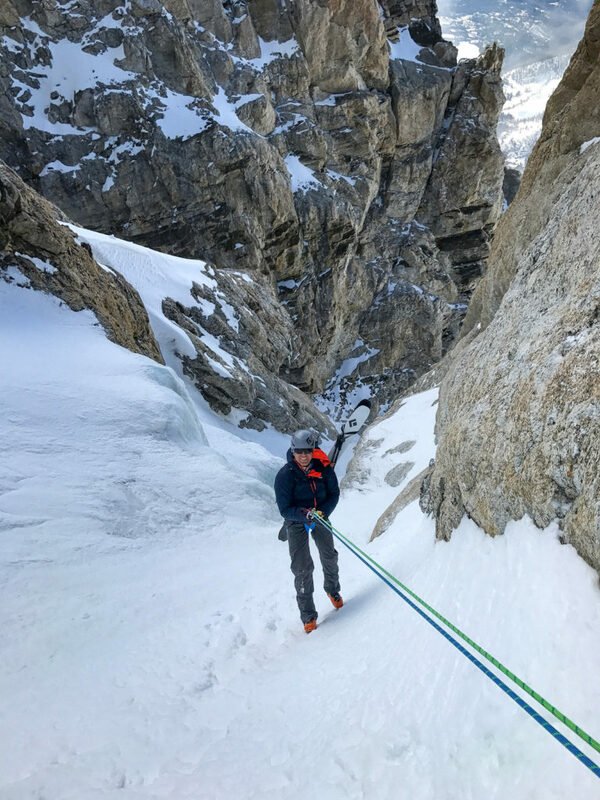 The Ford/Stettner is the “normal” route and it involves over 7000ft of elevation gain, moderate technical ice climbing, and steep, exposed skiing. When Bill Briggs made the first descent in 1971 it was a groundbreaking feat, and (along with a few other notables) opened the doors for ski mountaineering in North America. Even today, almost 50 years later, it remains a classic test piece for budding ski alpinists. In the last ten years I have had many different experiences on Grand, but had never guided a ski descent of the mountain. 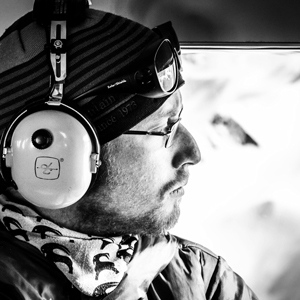 Along comes Christon, a pilot and skier from Salt Lake City. I met Christon last season, and he was psyched to ski the Grand. 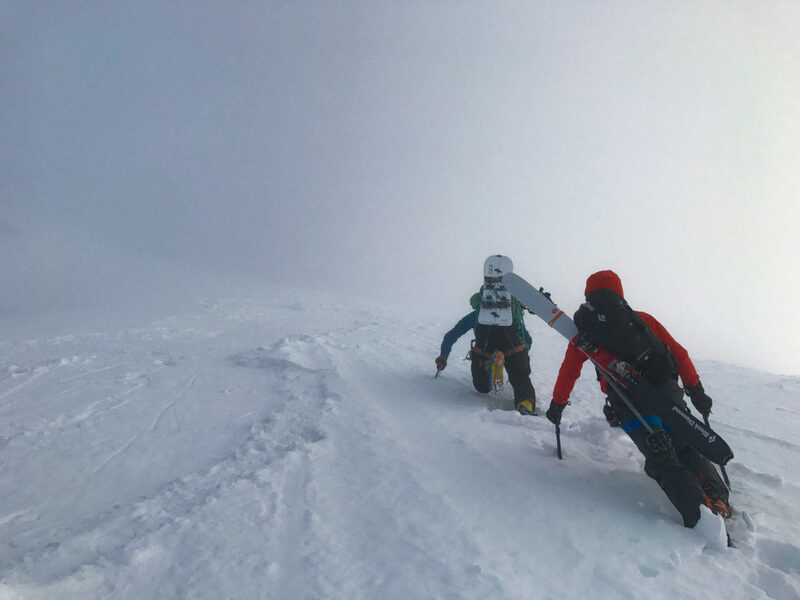 After a few day of skiing together – including a ski mountaineering clinic – we decided to give it a go. I invited a Billy Haas to join us as a co-guide, and we sat and waited for the weather. We waited all winter and then the weather window, avalanche conditions and Chirston’s work schedule finally lined up in early May. We settled on a 2 day trip starting May 2nd. We planned to swap some overnight gear and such with another guided team that was a day earlier than us, and so we met with light packs around 8am on the first day and made out way into Garnet Canyon under mostly clear skies. We chatted about ski conditions, flying, Billy’s new house, and life in general as we switchbacked up the canyon. Near the tree line I kickturned around a tree and stumbled upon a small black bear mama and her 2 cubs. Luckily, they were just as spooked as we were, and both the bears and us went running in opposite directions. We ascended the long, sunny headwall before camp at the Teepee glacier with a mix of skinning and bootpacking. We arrived around 2pm and moved into our already set up camp. We lounged around and fitted crampons to boots while packing our backpacks for the following day. There wasn’t much going in our packs: food, water, technical gear, an extra layer and avy gear. Around 8pm we were in the tents trying to get to sleep. We woke at 1am the next morning. (Extra early to stay in front of other parties on the route) and were out of camp a bit before 2am. An hour of bootpacking brought us to Glencoe Col at the base of the Stettner and Chevy Couloirs. 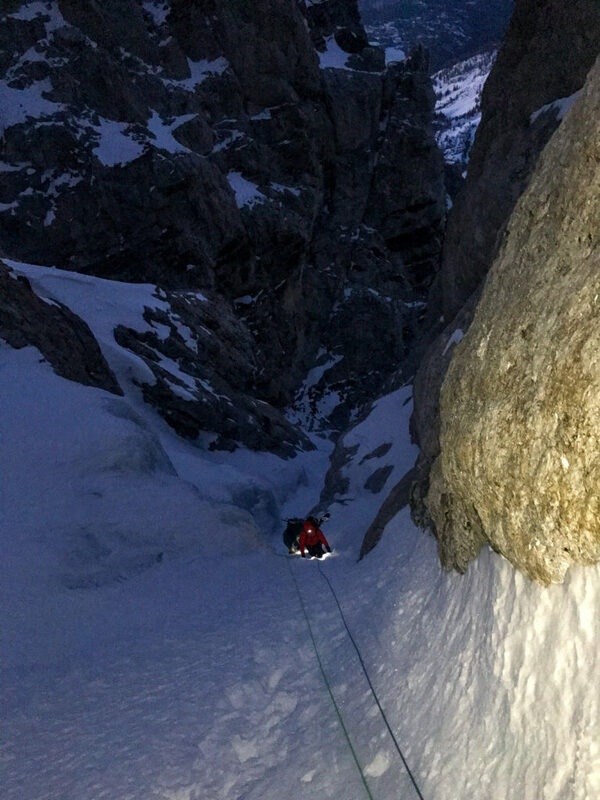 These narrow ice couloirs are the technical crux of the ascent and have never been skied clean. (WI3). In the dark of the morning Billy lead upwards while Christon and I followed side by side. With a little coaching, Christon picked up the swing and by the 3rd pitch was cruising like a seasoned pro. In a few more pitches we reached the base of the Ford and the end of the technical difficulties. A cloud enveloped the upper mountain as the sun rose, turning the sky pink. It was just after 7am. We climbed the Ford and gained the Southeast Ridge a few hundred feet below the summit and 45 minutes later we were on the summit. A cloud still hung on the mountain and obscured the views in all directions but kept the stress levels low (we were about to ski and rappel down a giant south facing trash chute). We summited a little after 9am and spend a few minutes on top taking photos and checking in with the office. A light west wind kept things cool on the summit, and not wanting to be any later than needed clicked into our boards and headed down. We skied the SE Ridge in soft zipper crust. Billy and I belayed Christon while he skied, not because he didn’t have the turn, but because there was a thousand-foot cliff below us. The zipper crust continued into the Ford and so did we. 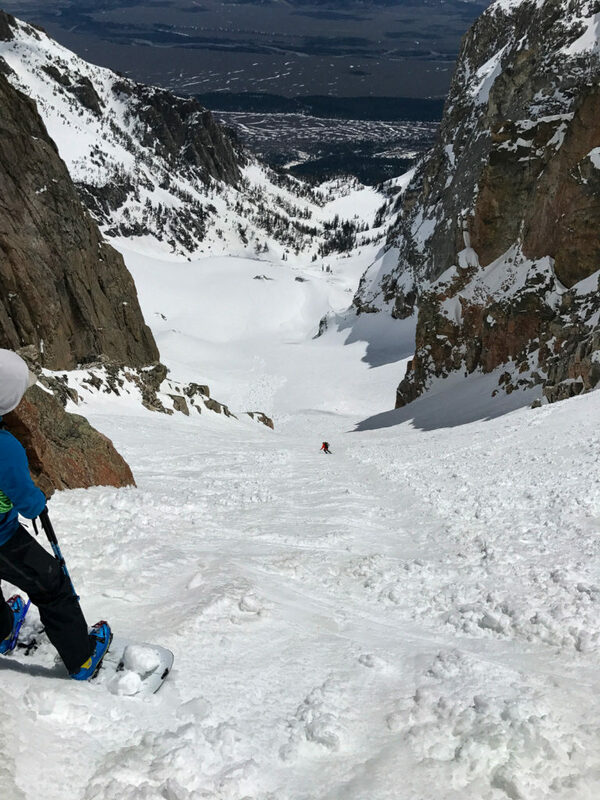 The couloir was a bit steeper, so we slowed the skiing down a bit. A few more pitches of skiing brought us to the anchors at the top of the Chevy. Another party was on their way up and we moved into the stance as they moved out. The stance was awkward and made removing skis and splitboard for the rappel tricky. After jostling around and helping each other get set up, we pre-rigged our rappel and slid down the rope; me first, then Christon, then Billy. 5 rappels brought us back to the col where we put the ropes away and skied back down the Teepee Glacier to camp. Packing up, we payed the price for our light trip to camp. Our small packs couldn’t fit all of our overnight gear, so we resorted to the “gypsy wagon” technique of clipping anything that doesn’t fit inside on the outside. We exited via the Dike snowfield and Glacier Gulch. Spring corn slowly transitioned to spring mush as we reached the valley. With valley temps in the 60s, the last mile of flat slogging to the cars was blazing hot. Luckily for us, the beers at the end were just the opposite. 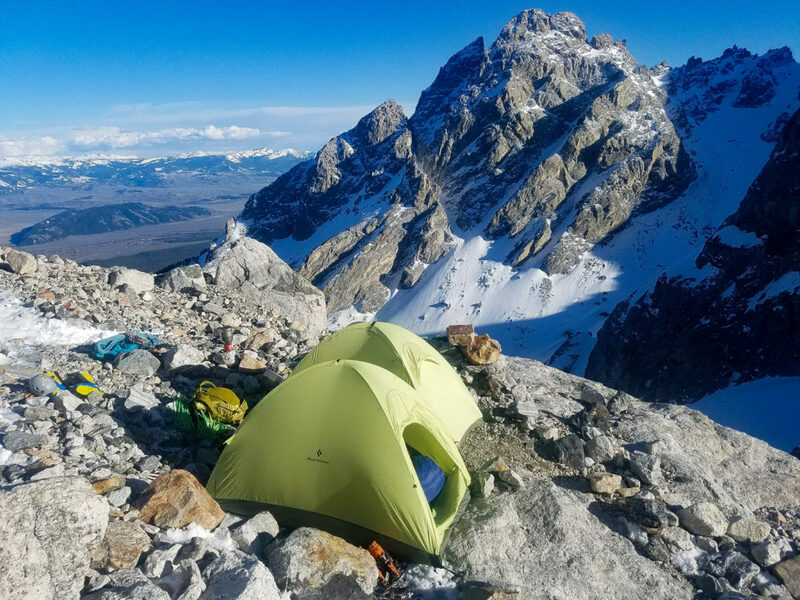 In his free time Aaron enjoys spending time in the splitboarding in the Tetons, or exploring the lesser known areas of the Alaska Range with his friends. 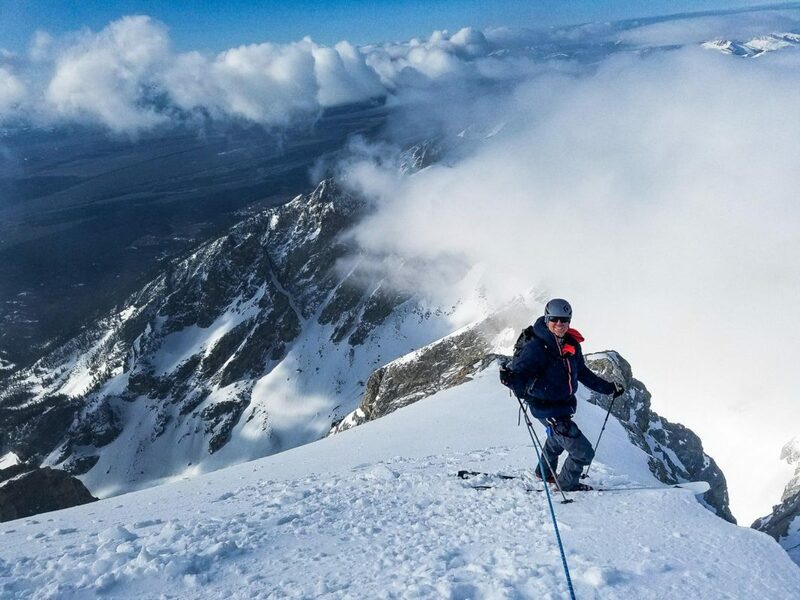 He has first descents in the Tetons, Andes, and Alaska Range, including unrepeated splitboard descents of the Ramen Route on Mt Hunter (14,573ft), Mt Foraker’s Sultana Ridge (17,400ft), The Fat Calf Couloir on Pico Polaco (5995m) and the SE Face of the Gilkey Tower (12,320ft). Copyright © 2018 Voile Manufacturing.